Even though, just like other small counties, Bosanski Petrovac evidently went through a real demographic shock, it is important to emphasize that the process of returning of those who were displaced or who moved away from the county has been happening in a way which can only be a bright example to the whole BH. Namely, around 6000 Serbs, who comprise around 54% of the population, and a bit more than 2000 Bosniaks, who comprise around 43% of the population of Bosanski Petrovac, have returned so far. The statement that this county is headed in the right direction is also reinforced by the fact that out of the total number of employed citizens (1265), only 265 are employed in public companies, while as many as 1000 work in the private sector, which is a very rare ratio when it comes to small and underdeveloped counties in BH. For several years, this local community has been experiencing a real renaissance, from the construction and reconstruction of roads, installation of street lights, to installation of the sewer system. The development of infrastructure was followed by investments, which resulted in factories opened by several successful domestic companies. Tourism has also become a good resource, which is why a ski-resort on the Oštrelj Mountain was opened last year, only some ten kilometers away from Bosanski Petrovac. Of course, there are problems even in this county, but they are mainly caused by the unresponsible relationship of higher authorities toward this local community. A step in the positive direction in the field of culture is the recent founding of the Youth Organization, as well as numerous events organized by the Center for Culture and Education, part of which are the Cultural Center and the Jovan Bijelić Memorial Museum. “This institution organizes events of great importance to the Una-Sana Canton and the Bosanski Petrovac County (County Day, National Day, Independence Day, Day of the Uprising against Fascism, etc.) and performs all activities pertaining to theater, movies, radio and music, informal education”, says director of the Cultural Center in Bosanski Petrovac Slobodanka Kerkez. Our second interviewee, Tomica Grbić, a renowned member of the wrestling club “Grmeč”, showed more enthusiasm, but also more satisfaction with the support by the local authorities. “Over the past two years, the number of children has been stagnating between 50 and 60, which is more than great for our circumstances”, Grbić said not hiding his satisfaction, emphasizing that “Grmeč” is the only wrestling club in BH that works with girls as well. Funds for clubs go through the Sports Association Bosanski Petrovac, where the major portion of the money comes from the county, and another, smaller, from the canton. “There’s never enough money because we are a poor county”, said this sport enthusiast, emphasizing that the government should play a key role in regulating sports through laws. 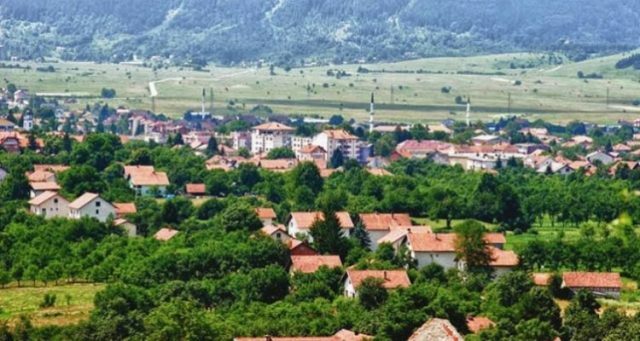 All that’s left is to hope that the positive energy of Bosanski Petrovac will spread throughout Bosnia and Herzegovina with time, driving away everything that has been driving away people from this wonderful country.